Description: The approach to modelling structure of the project Poltava oil-and-gas cluster with use stream graphs is considered. The problem of the organization of transportation of products of several kinds through a network is formulated during an interval of time with the minimal expenses. It is offered decomposition the approach to its decision. 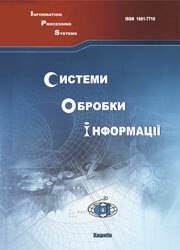 Ali Naif Khalil Alkhzhuzh, (2006), “Modelirovanie struktury klastera”, Information Processing Systems, Vol. 1(50), pp. 182-186.